One of our unique features is we pay prizemoney to small shareholders. 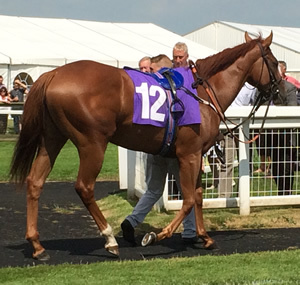 Most of the horses we feature provide a share in any winnings during the share period. To find out whether the horse does attract winnings, look in the share information section in the 'View the Horses' area. 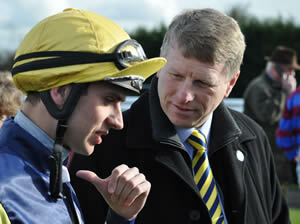 If the horse does pay a percentage of winnings it will be shown as a number of shares which are required. Only one or two shares per racehorse are required for prizemoney to be paid. Please note how many shares you need to buy in order to qualify for a share of winnings. We make your winnings easy to calculate - if your horse wins £1,000 after BHA deductions, and your share is 1%, you will be credited with £10.00 to your Racehorse Manager account. It's really that simple. Your Racehorse Manager provides a detailed breakdown of each race your horse runs, and whether there was any prizemoney applicable to each run. We calculate prizemoney down to the last penny, so you will always get your share as a shareholder for the season. However, please remember that you should NOT base a decision to buy a share in a racehorse from the Ownaracehorse site on your ability to get any of the upfront share cost back in race winnings. If your horse does very well, you may get a small payment, but this should not be the reason for your purchase. You are purchasing an experience and unique interest in a fascinating sport and social occasion - it is certainly not a financial investment. Your share in any winnings are paid at the end of the share period (the racing season). You will be able to see the amount rise in your Racehorse Manager as the horse wins or is placed throughout the share period. We are one of only a few racehorse management companies which will pay winnings back to participants when they own such a small stake in a racehorse - but we believe this is all part of the thrill of the ownership experience. The minimum payment threshold is £20.00, but this applicable across all the horses in which you have shares. If your share of the winnings does not exceed £20.00 over the share period you may decide to retain the winnings in your Racehorse Manager account until you have the minimum, or alternatively advise us to donate the winnings to our current racing charity we support. We have supported a number of racehorse charities, and at the moment we make all our donations to The Injured Jockeys Fund. If your winnings in the share period are above £20.00 you may request payment either through Paypal (no fee) or by personal Cheque (less a £3.50 cheque handling fee). We process all winnings allocations within two weeks of your share period/season finishing.